Eagle Falls cascades into Emerald Bay against a backdrop of Lake Tahoe, watch here for soaring ospreys and bald eagles. Background: Two adjacent parks linked by trails are located in a spectacular alpine setting above one of the world's largest and clearest high-elevation lakes. Eagle Falls cascades into Emerald Bay against a backdrop of Lake Tahoe, watch here for soaring ospreys and bald eagles. Rock outcroppings and conifer forests line six miles of shoreline, where the Rubicon Trail leads to protected coves and views of waterfowl. The path weaves among pines, firs, and cedars, habitat for juncos, western tanagers, and white-headed and pileated woodpeckers. Squirrels and chipmunks are common, patient observers may see coyotes, martens or bats at dusk. Fall colors are covered by a mantle of winter snow when snowshoe hares and bald eagles visit. Wildflowers bloom just as Canada geese arrive to nest on Fannette Island. A trail from the Highway 89 vista parking area leads to the water's edge of Emerald Bay and the historic Vikingsholm mansion for tours during the summer. The historic lighthouse is accessible from here via the Rubicon Trail or may be accessed by parking at D.L. Bliss State Park, a few miles north. Emerald Bay includes an underwater park with the opportunity to dive to submerged vessels. The Habitat: The area is dominated by Sierran Mixed Conifer forest with some Montane Riparian vegetation along riparian corridors. The Experience: Emerald Bay has been distinguished as a National Natural Landmark. 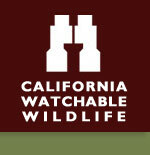 Wildlife and Where to Find It: Hiking of the Rubicon Trail and boating are the best methods for wildlife viewing. Viewing Tips: High probability of seeing waterfowl, birds of prey, and songbirds in spring and summer. Winter offers views of eagles, martens, and lots of tracks in the snow. A nature center is located at nearby Sugar Pine Point State Park. Visitor centers at D.L. Bliss and Vikingsholm. Parks are crowded in summer, low winter use. Site Notes: Emerald Bay and D.L. Bliss State Parks offer visitors a variety of experiences, from diving in the clear waters, to hiking along the shores of Lake Tahoe, to camping in the many campgrounds. For those looking for a cultural experience, guided tours of the historic Vikingsholm mansion are offered during summer months. Nearby Viewing Sites: Sugar Pine Point State Park and the USFS Lake Tahoe Basin Management Unit, including Taylor Creek and Desolation Wilderness. Seasonal: The visitor center and campgrounds are available during the summer months only, winter camping is available at Sugar Pine Point State Park, 7 miles north on Hwy 89. Contact Park for current days/hours information. Road Hazards: Beware of winter driving conditions. Note 3. Public Safety. The high elevation of Lake Tahoe can result in altitude sickness, be aware of your limitations. The lake water is cold and there is no lifeguard on duty, swim at your own risk. If wildlife viewing in winter, check local conditions prior to departure and be aware of the weather, storms can develop quickly. Visiting California State Parks and viewing wildlife is an experience in the natural world with the same inherent risks as other outdoor adventures. Changing weather conditions, rugged terrain with changing trail and road conditions, and hazards of surf and other waters, plants (poison oak, falling limbs, etc.) and animals (mountain lions, rattlesnakes, ticks, etc.) are a part of life outdoors, as is protecting yourself and your belongings. Use the Visit a Park link at the State Park web page for precautions and public safety information. Proximity to viewing area:The Emerald Bay overlook has 68 parking spaces. Parking Danger: Roads become congested during summer, watch for pedestrians and cyclists. Hwy 89 around Emerald Bay is frequently closed during winter due to avalanche danger. Parking fee subject to change. See park website. How to Get There: From Tahoe City, drive 17 miles south on Highway 89 to D.L. Bliss State Park entance. Continue 4 miles south on Highway to Emerald Bay State Park entrance.